California Knife & Blade manufactures and supplies a wide variety of quality poultry processing knives and blades as well as vent cutters. Whether it's Meyn, Stork, Linco or Systemate or custom make poultry processing knives and blade, we manufacture and supply all OEM poultry knives and vent cutters. Many of them are in stock and we ship them immediately. All of our knives are exceptionally manufactured to exceed the exact OEM standards. We are highly specialized in manufacturing custom knives and blades per sample and drawing. If you need your knives manufactured to your exact requirements, please contact us now to see how we can get you the high quality knives exceeding your requirements at a competitive price and always delivered on time. 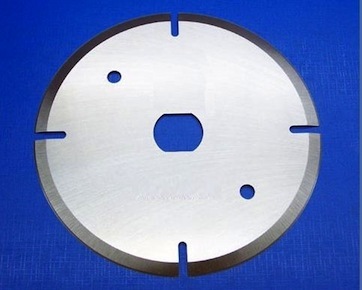 Please take a look at the list of our in-stock poultry processing blades. If you don’t see in this list what you are looking for, please contact us now. Please click on the pictures below to see some of our quality poultry processing knives and blades that we recently manufactured for our customers in poultry processing industry.